I had a great week learning and coding with students. I watched students think, create, collaborate and share. All the tenets of my enrichment programming wrapped into one! Here is a video hilighting some of the FUN! 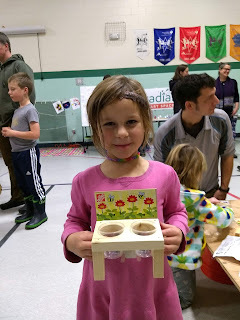 Maker Mondays in 2019--Forms Coming Home Soon! I am preparing the flyer to announce Maker Mondays for January and February 2019. Here is the information that will be coming home soon! The Details: Mrs. Rankin will work with students to design, create and make in the makerspace. provided they pay this additional fee). Partial and full scholarships are available. 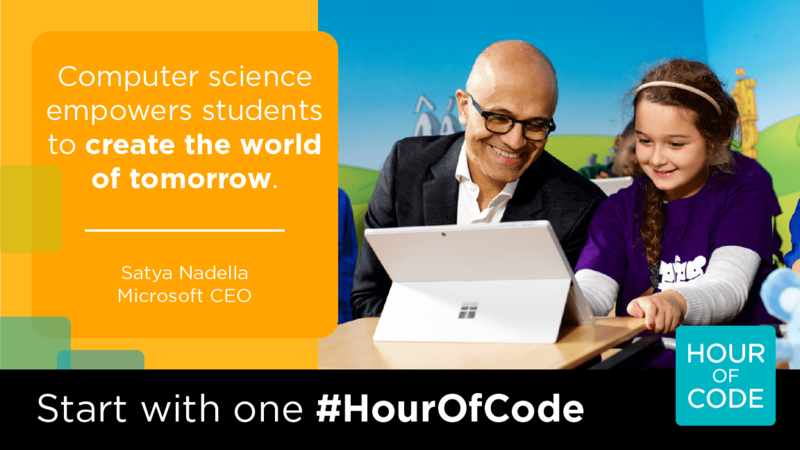 This week RES students will be participating in Hour of Code during enrichment classes. The week of December 3rd - 7th, 2018 all RES students in grades kindergarten through four will have a hands on introduction to computer programming with Hour of Code activities during their enrichment classes! Computer programming helps nurture problem-solving skills, logic and creativity in people of all ages. Kindergarten, first and second graders will use Scratch Jr. app for iPads, while third and fourth graders will choose from a variety of tutorials on Code.org. FAMILIES and TEACHERS: Here are links to continue the learning beyond this week at school! ALL of the included links and recommendations are FREE! Do you have questions about coding? Do you want to figure out ways to help your kids use computers and tablets to create things versus consume content? I would be happy to chat with you about this...just reach out to Darcie Rankin at darcie.rankin@cesuvt.org. Students in fourth grade enrichment had an opportunity to work in small groups to create video advertisements for the RES makerspace and makerspace activities. Students self selected topics and groups and then designed an advertisement using paper storyboarding. Once groups had a plan in place they used iPads to record videos (and some included green screen and stop motion applications to add another layer of technology). Next students imported their videos onto their Chromebooks and used WeVideo to edit and create their final videos (including voice overs, music, text additions, video splicing and more!) It was impressive to watch student creativity shine as they walked through this movie making process. Here are the finished products from Mrs. LeFrancois' Class! The Thursday before November break RES families came together for the fourth year in a row to celebrate creativity and engineering at the RES Cougar Cub Inventor's Workshop. What is an Inventor’s Workshop? 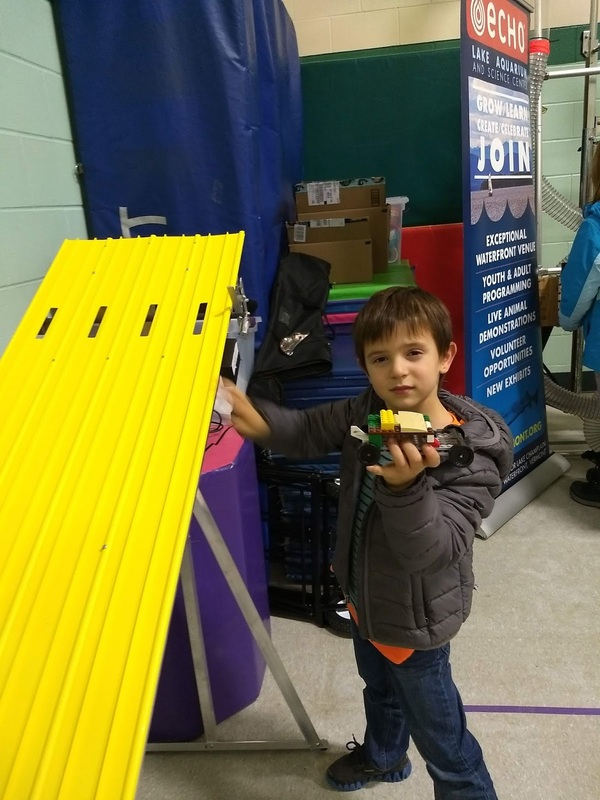 The workshop was a family-friendly event to MAKE, create, learn, invent, craft, recycle, think, play and be inspired by celebrating arts, crafts, engineering, science and technology. Students worked with their families to create. Activities were facilitated by engineers and teachers. Families had an opportunity to learn together as they experienced the fun of making / building / constructing / designing and more. I am so thankful for all of the school and community volunteers that made this evening possible. 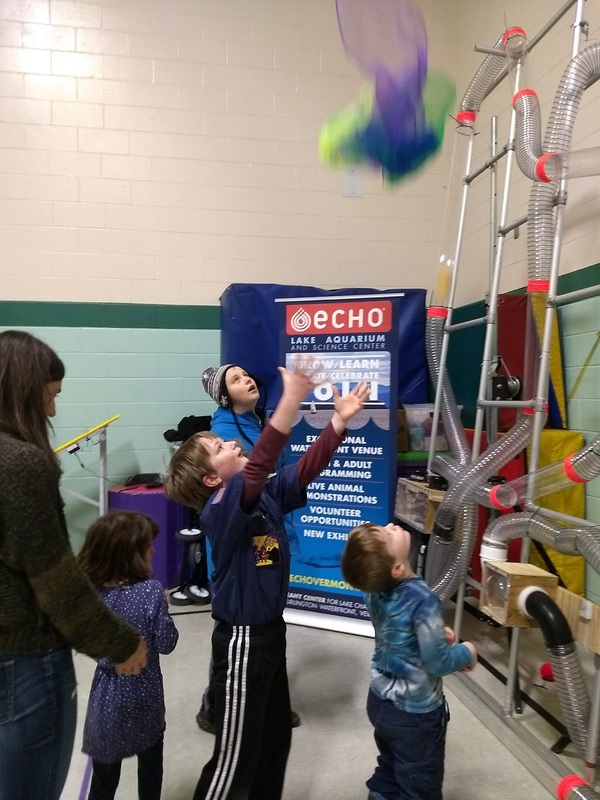 Volunteers from the Society of Women Engineers ran stations to build jitterbots, create rockets and lead our youngest makers in building marble mazes and floating objects for the wind tunnel. 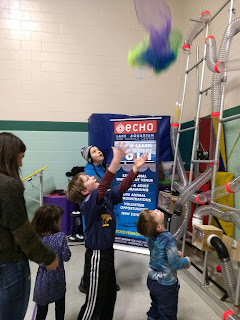 ECHO brought an amazing 34 foot Lego car racing tack and a 10 foot high wind wall that had students laughing and cheering all evening. Radiate Art Space brought a variety of spin art machines and created amazing art with students. CHMS educator, Quinn Keating brought a 3D printer and taught families how to use software that drives this tool. RES educators were on hand to support learning and challenge students as they learned to code in Scratch and build with various materials. 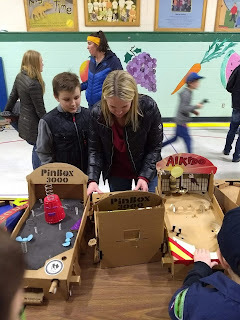 Cardboard Tek donated some PinBox 3000s for the evening so students could get excited by the design possibilities they will get to have later in the school year. Here are the finished products from Mrs. Berliner's Class! Here are the finished products from Ms. Poncelet's Class! This blog is a great way to learn about all of the fantastic things going on in Enrichment at RES. Welcome and Enjoy!